Unable to function without your morning coffee? Well, guess what … you’re not the only one! With busier schedules, more and more of us are relying on our local coffee shops to satisfy those coffee cravings to get us through the day. 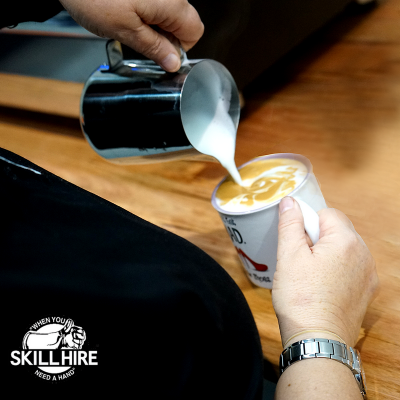 As a nation, our increasing bar and coffee culture has resulted in a 23% rise in demand for baristas and bar attendants. Thanks to our changing lifestyles, the jobs boom is now fueled by baristas, beauticians and boot camp instructors. Well done us! If you’re from Western Australia, you’re in even more luck! Perth’s growing tourism and hospitality industry has gotten employers in a frenzy. They’re crying out for more trained hospitality professionals to join the workforce to match this increasing demand. With the new construction of renowned hotels such as Ritz-Carlton and DoubleTree by Hilton and growing hospitality and entertainment precincts such as Elizabeth Quay, we’re all bracing ourselves for an influx of hospitality jobs. Don’t believe me? Here’s some statistics to whet your appetite. By 2020, the demand for waiters, bar attendants and baristas, is expected to grow by over 41,000 workers. In fact, it’s expected that skilled workers will be highly demanded by chefs, cafes and restaurants, reaching 7,603 and 5,365 workers respectively. So, there you have it folks. If you considered a job in hospitality, now would be the perfect time to start getting trained. Good news, we’re getting on that the hospitality hype and working behind the scenes to fulfill this need! Watch this space. Get your foot in the door before demand is booming and everyone gets the same idea!